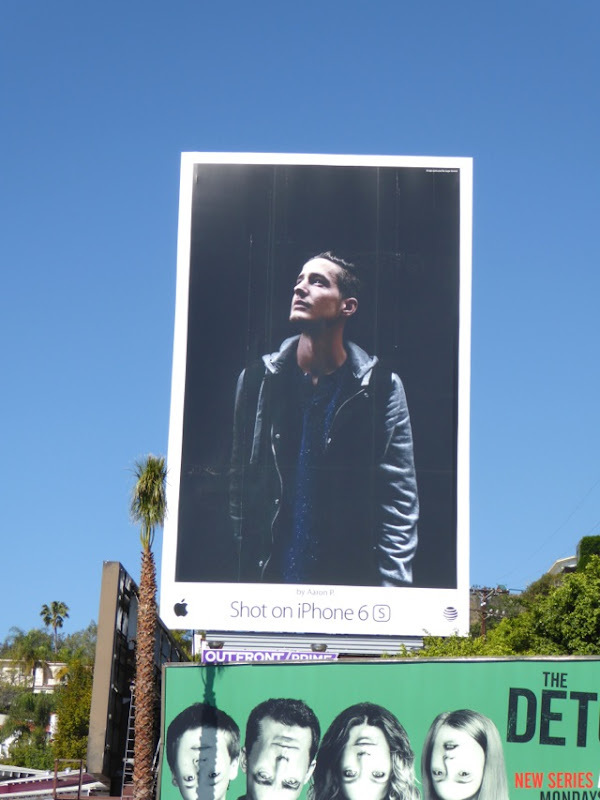 When Apple launched its user-generated 'Shot on iPhone 6' ad campaign last Spring it was a real departure for the brand, who usually had focused on their sleek, stylish products in their advertising. 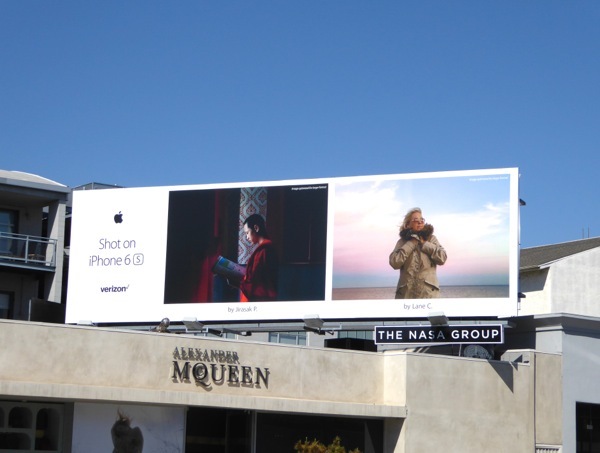 The majority of the billboards featured stunning solo visuals from Apple's 'World Gallery' captured using the smartphone's camera and apps. 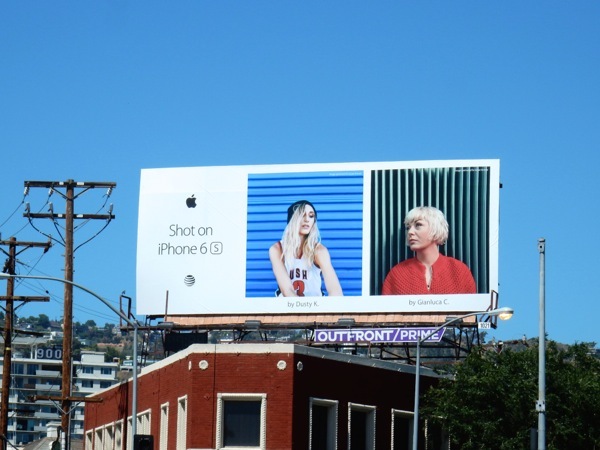 After the recent colourful Apple TV billboards to cleanse the visual palate in the city skyline, the consumer tech brand is back with a similar user-generated campaign for their iPhone 6s. 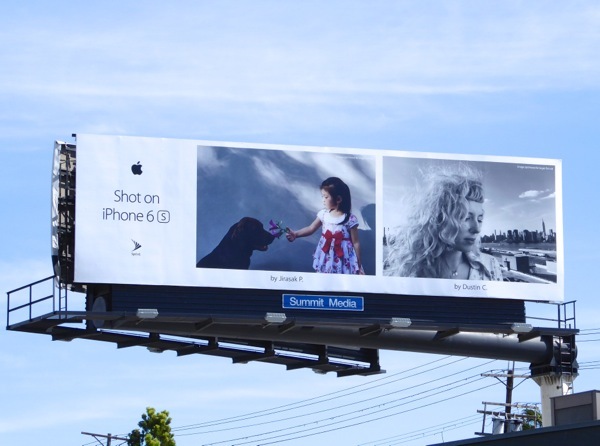 This time rather than focusing on a single image, these new billboards feature two to three images, depending on their size and format. 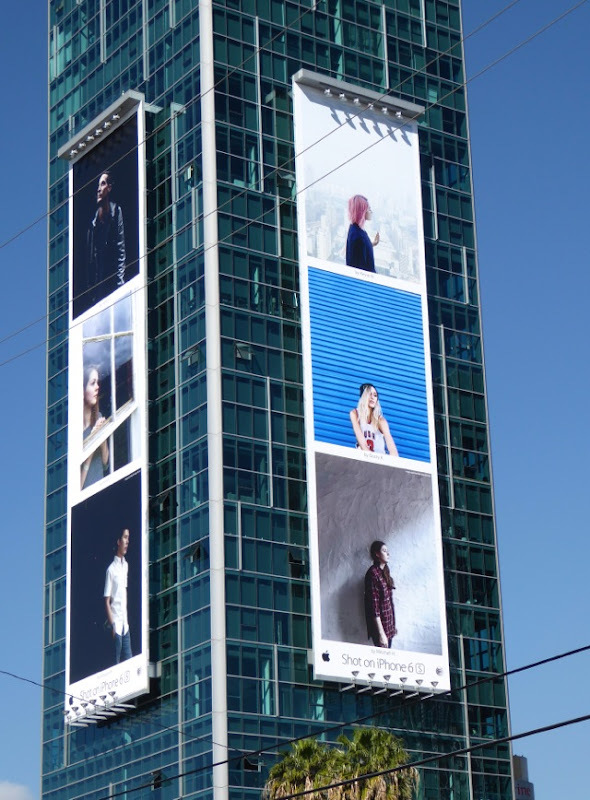 In addition, whereas the Shot on iPhone 6 billboards featured beautiful landscapes, architecture and nature from around the globe, this series of outdoor ads shines a spotlight on portraits, single models and faces. 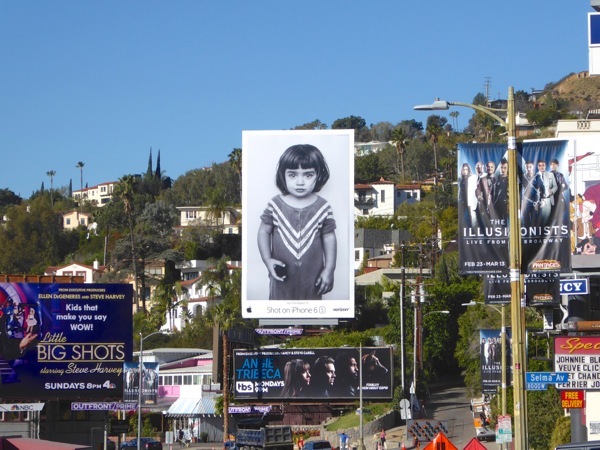 It's an interesting progression of the creative idea, but in Daily Billboard's opinion the multiple images are really not as compelling or as immediately arresting as some of the previous photography used. That being said, there are still some really interesting and eye-catching billboards amongst this new batch. 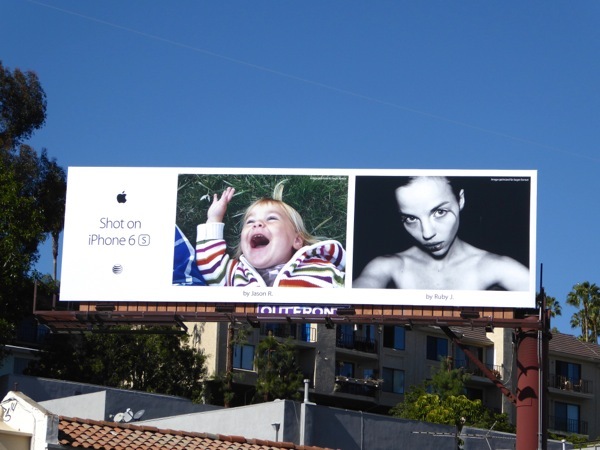 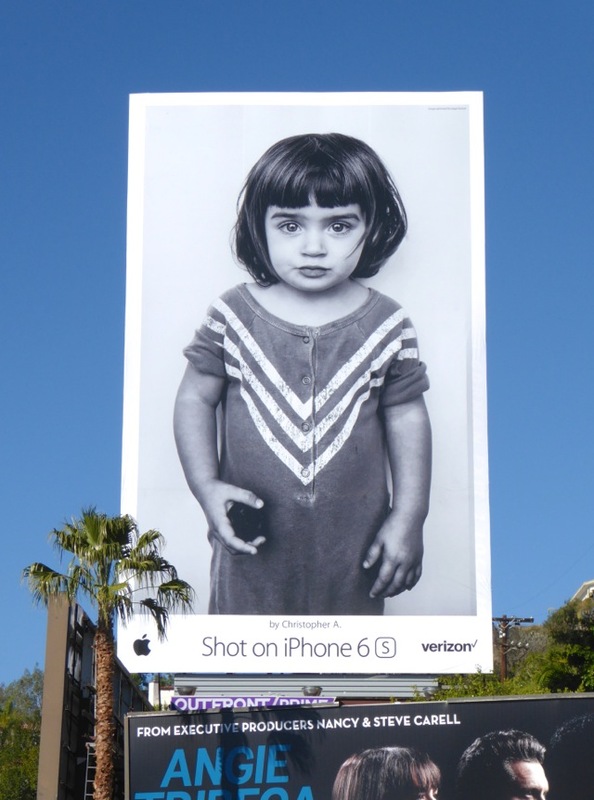 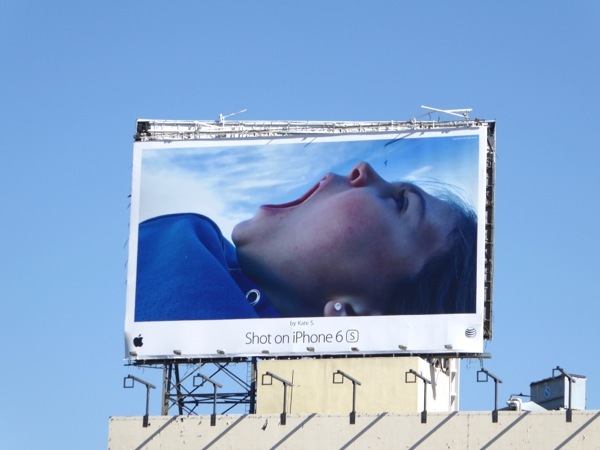 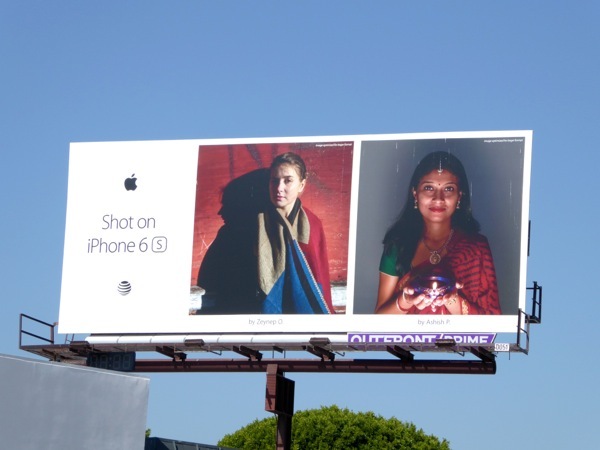 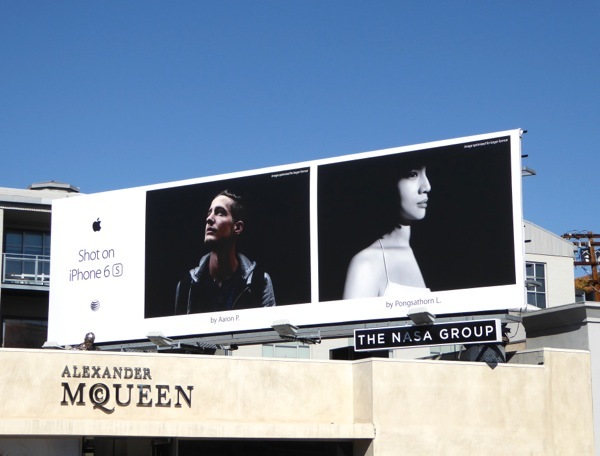 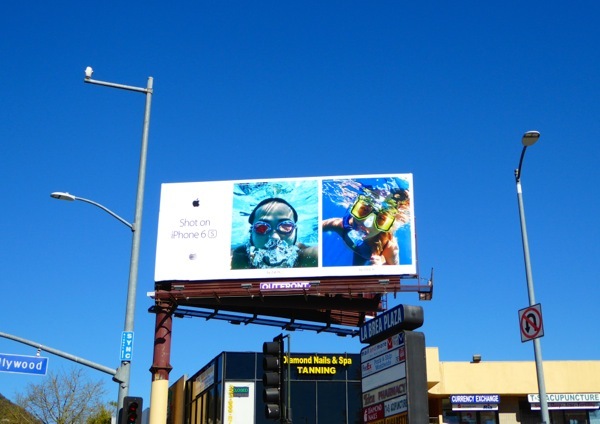 This extensive Shot on iPhone 6s outdoor ad campaign was photographed around the streets and skies of L.A. from February 5 to February 8, 2016, including along Sunset Boulevard, Melrose Avenue, Hollywood Boulevard, Cahuenga Boulevard, Santa Monica Boulevard and Beverly Boulevard. 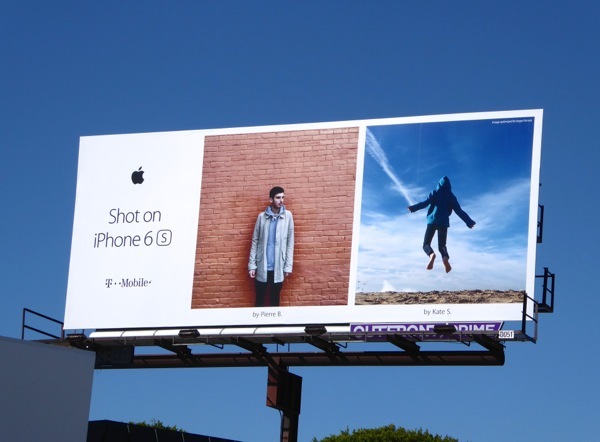 If you're a fan of the lifestyle brand, be sure to also check out these iPhone 6s billboards and rather interestingly a copycat outdoor ad campaign for I'm which mimicked the initial Shot on iPhone 6 idea. 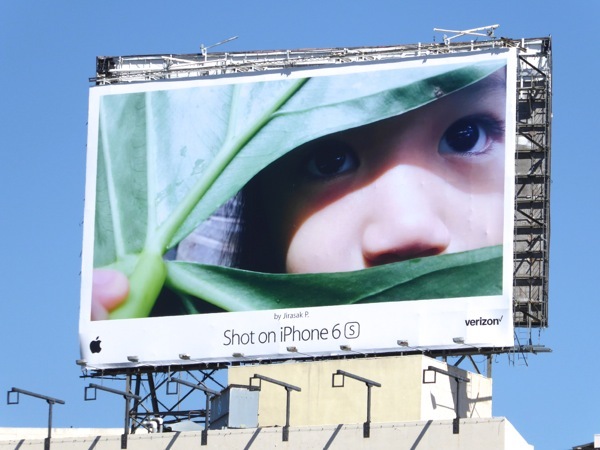 Daily Billboard is sure this is just the first wave in another onslaught of billboards that will highlight the results you can get from the iPhone 6s camera, so watch this space (and the skyline in your city too). 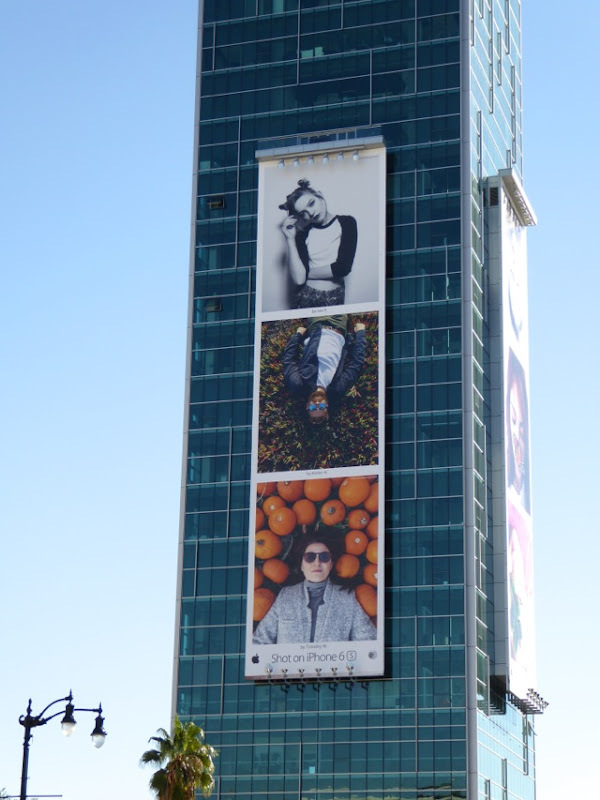 UPDATED: Here's also the Apple billboard on the fourth side of the Sunset Vine Tower in Hollywood snapped on February 19, 2016. 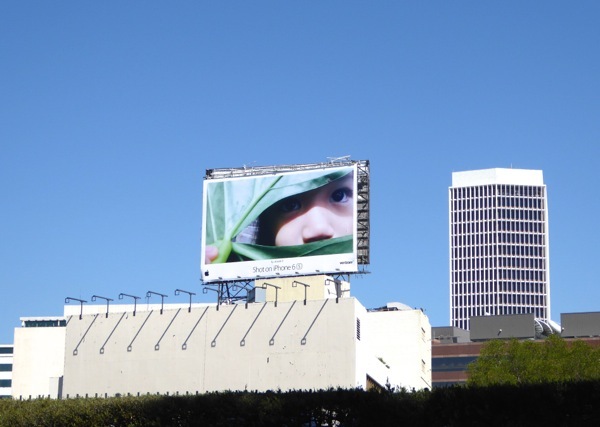 Plus here's another eye-catching giant billboard from the campaign snapped opposite the La Brea Tar Pits above Wilshire Boulevard on February 25, 2016. 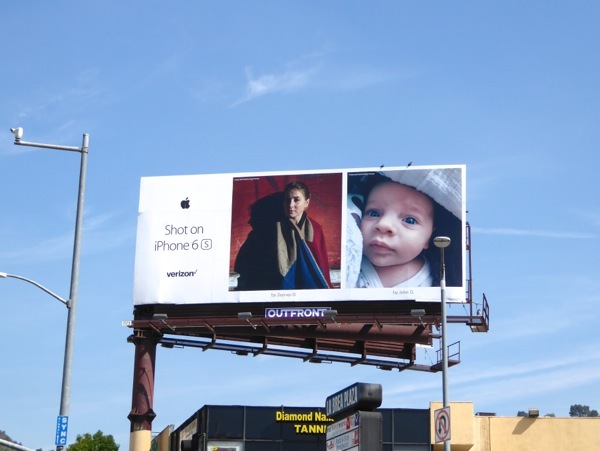 UPDATED: Daily Billboard is always a sucker for a cute Labrador, so enjoy this iPhone 6s billboard snapped along Pico Boulevard on March 22, 2016. 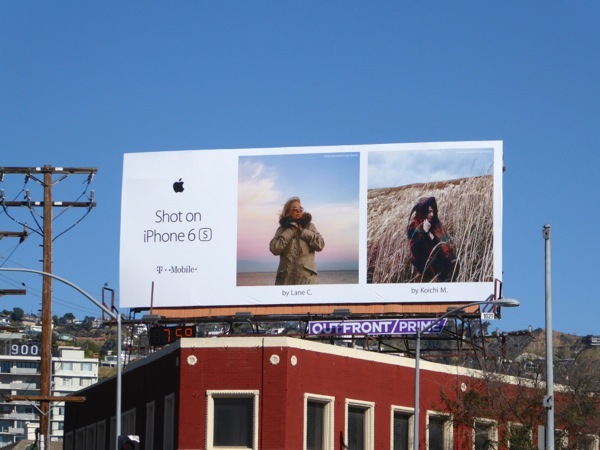 UPDATED: As expected a new wave of Shot on iPhone 6s billboards has arrived at the end of March 2016, some visuals are new and some are just mixed up and resized from the first installment. 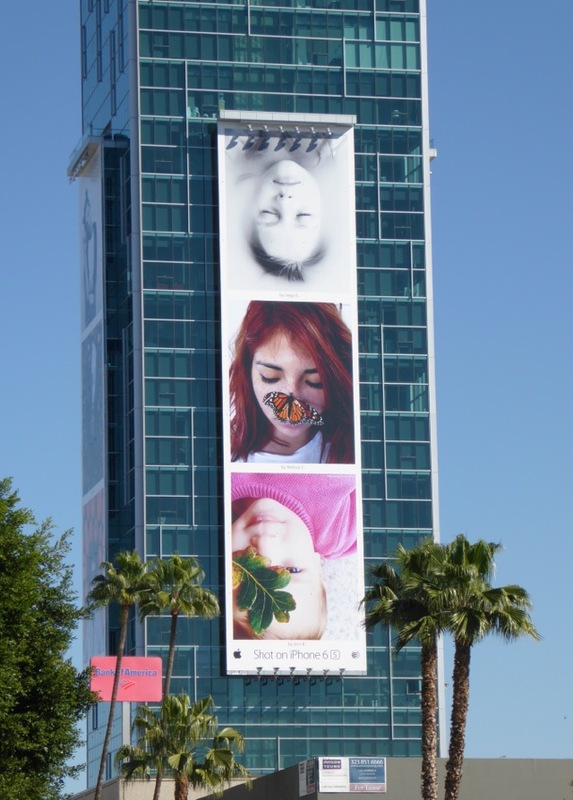 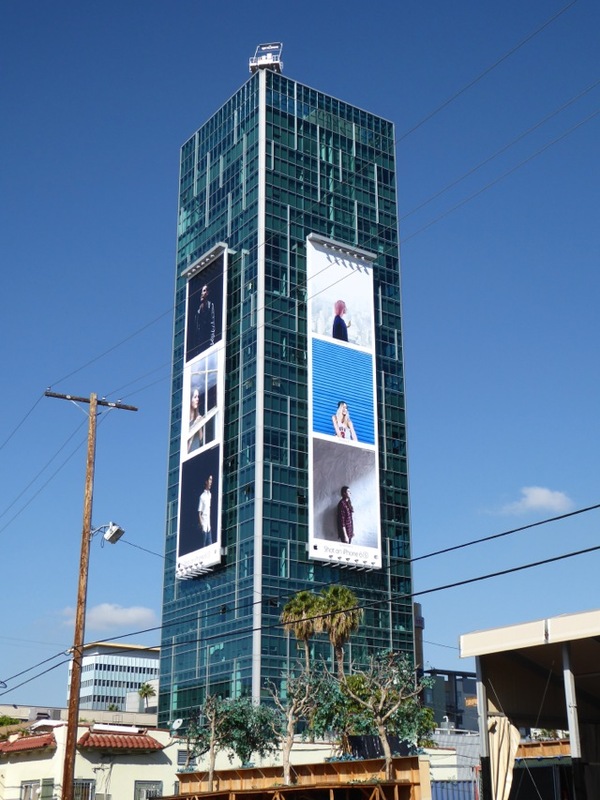 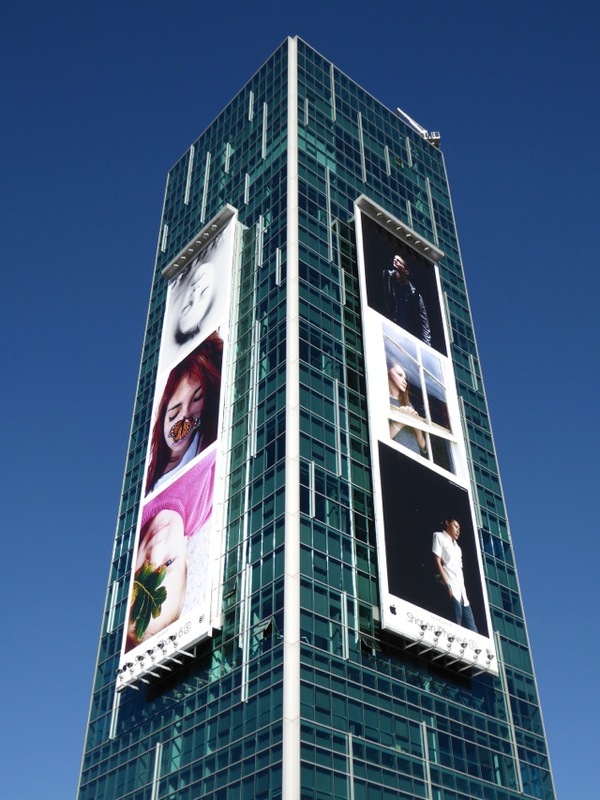 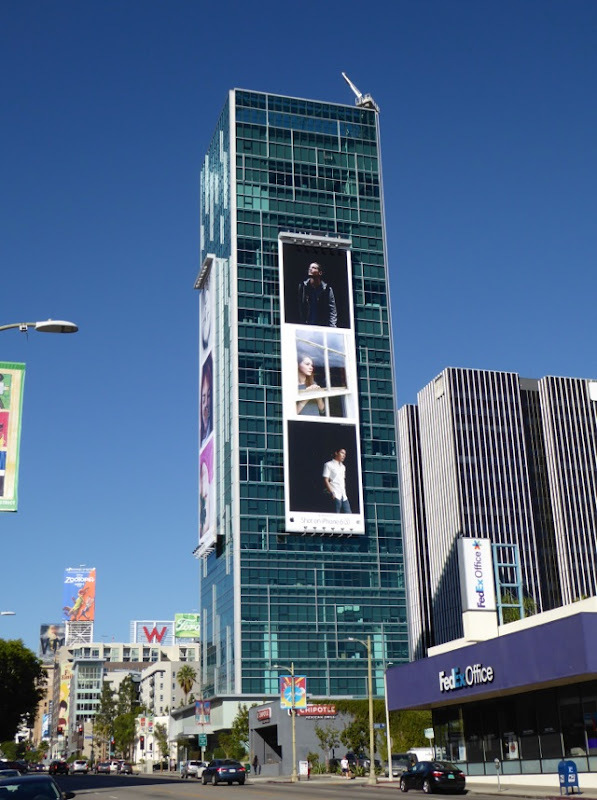 This giant vertical ad example was snapped along the Sunset Strip and another landscape version along Beverly Boulevard on April 1, 2016. 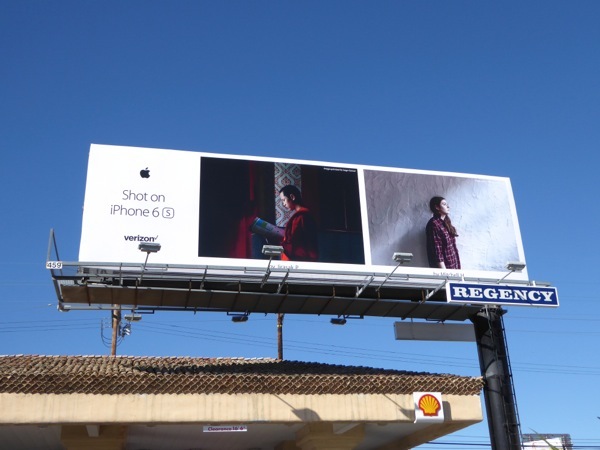 What Daily Billboard likes about Apple's advertising is that it's trying to sell you a feeling and lifestyle, rather than simply hawk their latest gadgets or models (of which there are many). 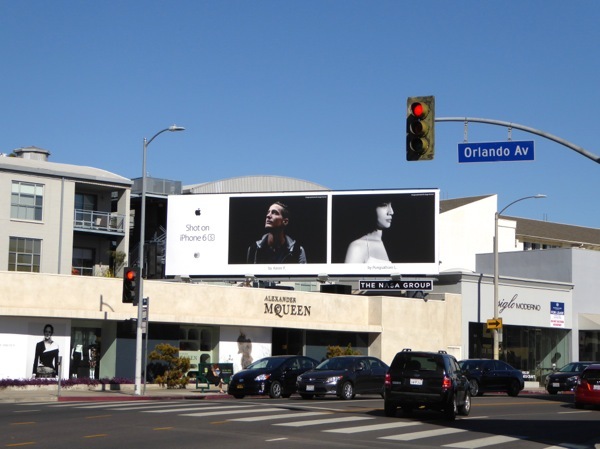 Meanwhile the other single image giant billboard was spied high above Wilshire Boulevard and another new landscape billboard spotted at Apple's regular Melrose Avenue ad site on April 2, 2016. 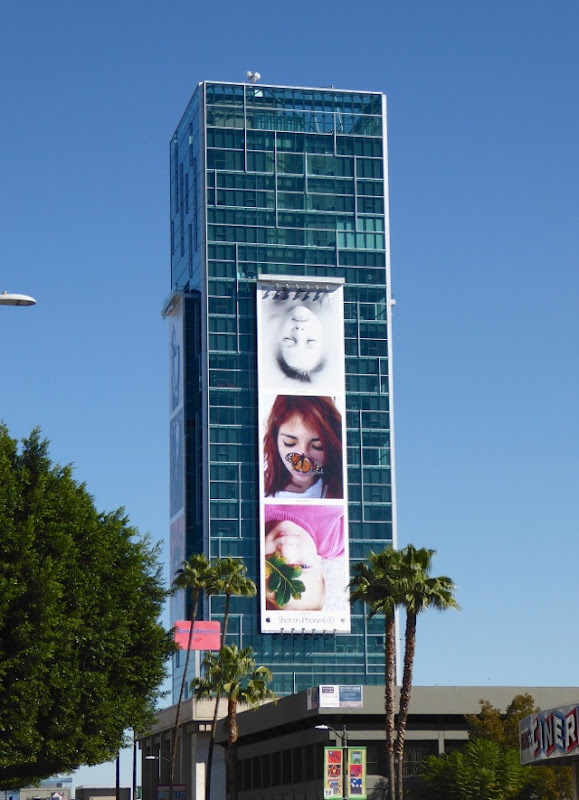 And an additional new ad was snapped at the corner of Hollywood Boulevard and La Brea Avenue on April 12, 2016. 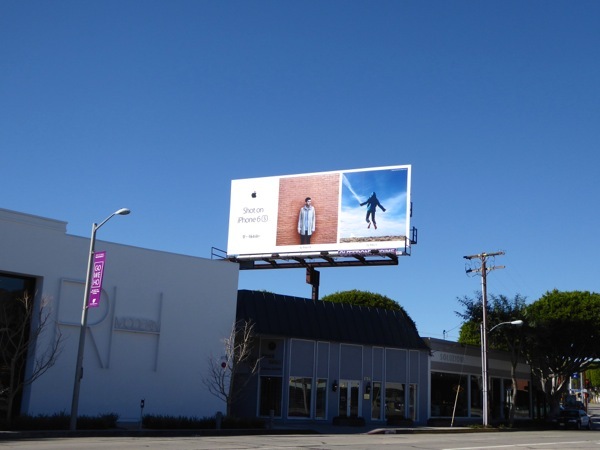 Plus this billboard with its cool duo of striped background images was captured above Santa Monica Boulevard at the border of West Hollywood and Beverly Hills on April 17, 2016. 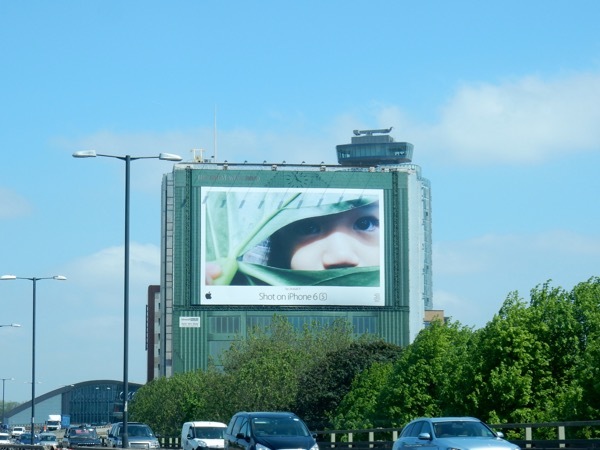 UPDATED: Here's a familiar Shot on iPhone 6s creative, but this giant-sized billboard was spotted across the Atlantic in West London on May 13, 2016.